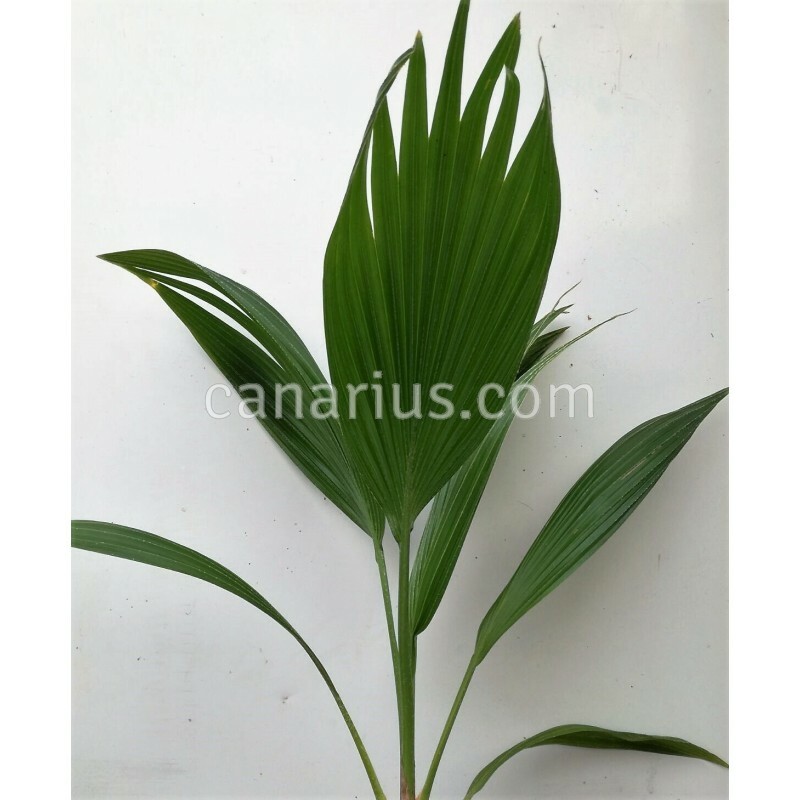 Pure beauty lives in this small to medium sized fan palm. Leaves are beautifully stiff and plicated as in an accordeon. Fruits are held in small bunches hanging on long, arching rachis. 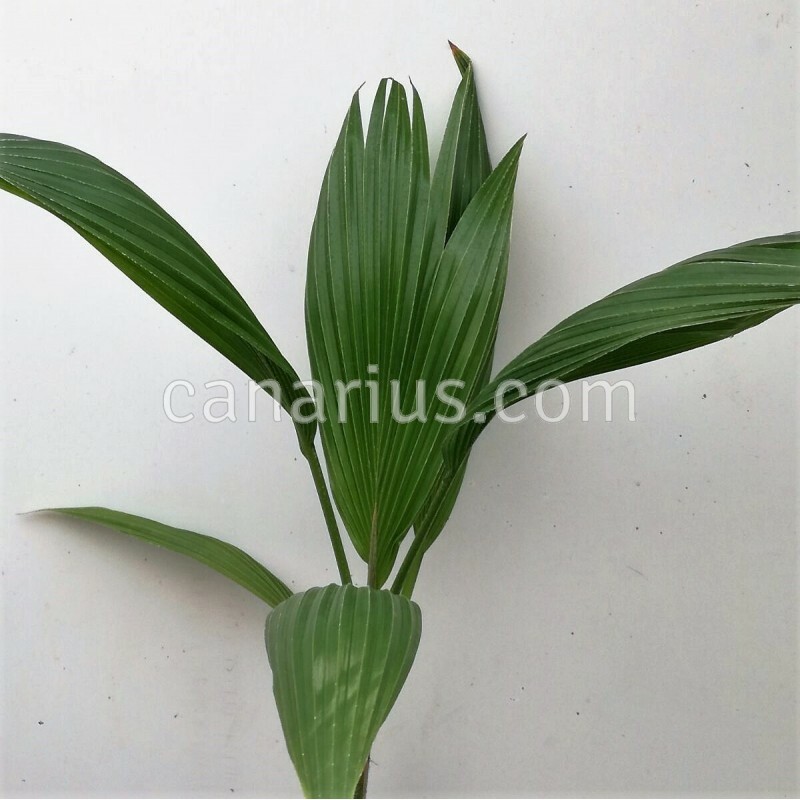 This palm grows wild in the most remote islets in the pacific. 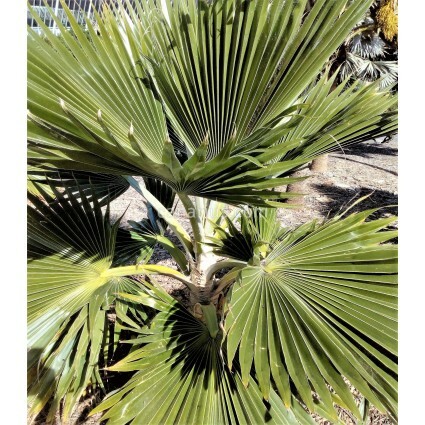 Pure beauty lives in this small to medium sized fan palm. Leaves are beautifully stiff and plicated as in an accordeon. Fruits are held in small bunches hanging on long, arching rachis. 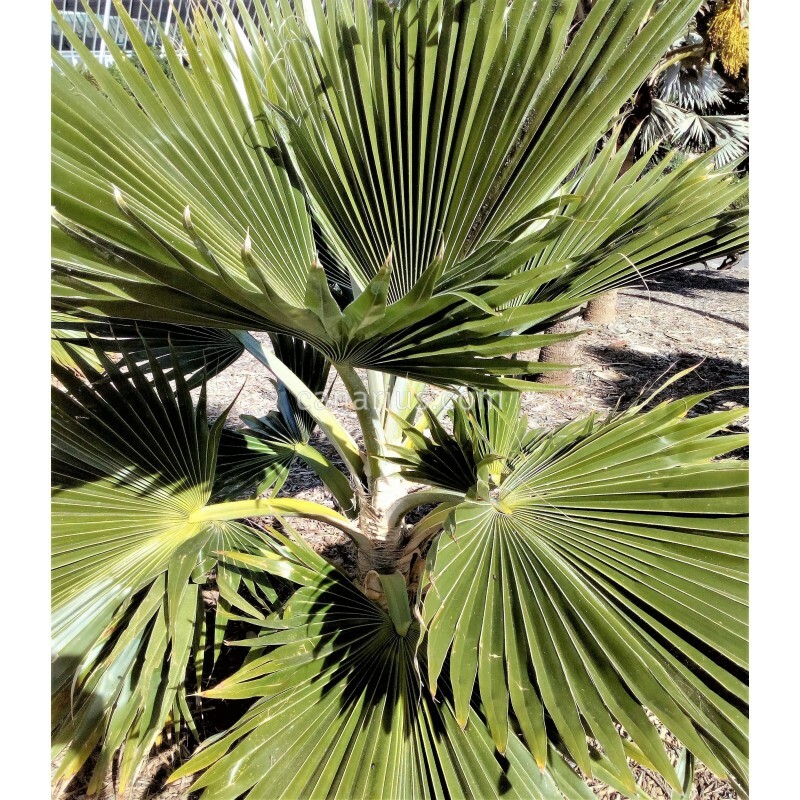 This palm grows wild in the most remote islets in the pacific. That is one of the most stable climates on Earth but there they thirve in extremely harsh, exposed conditions, on plain limestone with no soil and incredible storms from the ocean. 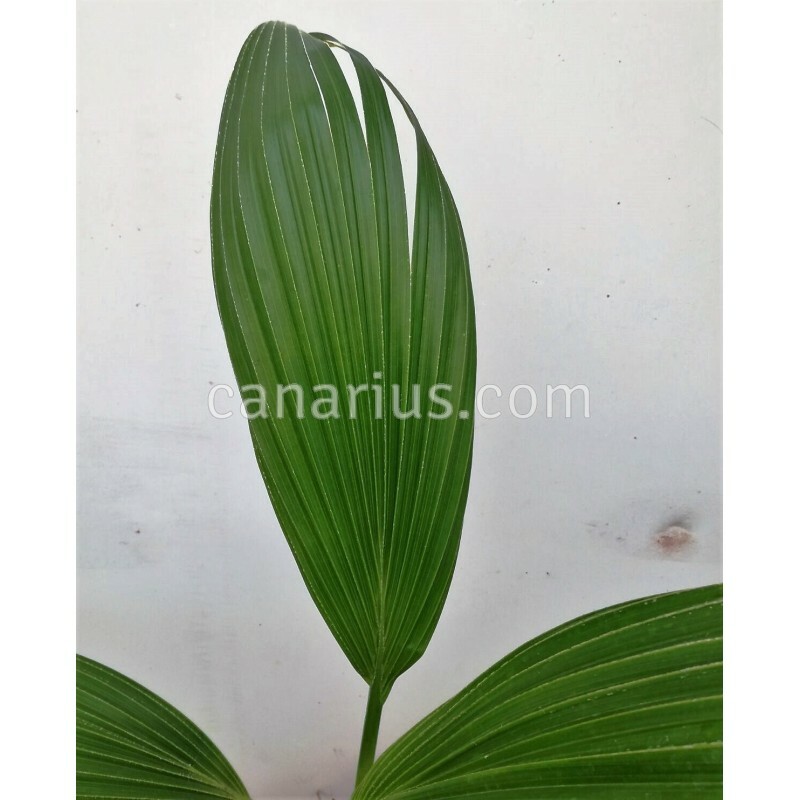 This species can be grown in pots and is very sensitive to frost.